This princess-seamed blouse includes lots of elegant details and options. In addition to the separate pattern pieces for A/B, C, and D cup sizes, it includes a tower sleeve placket, sleeve cuffs, and a semi-fitted back with darts. 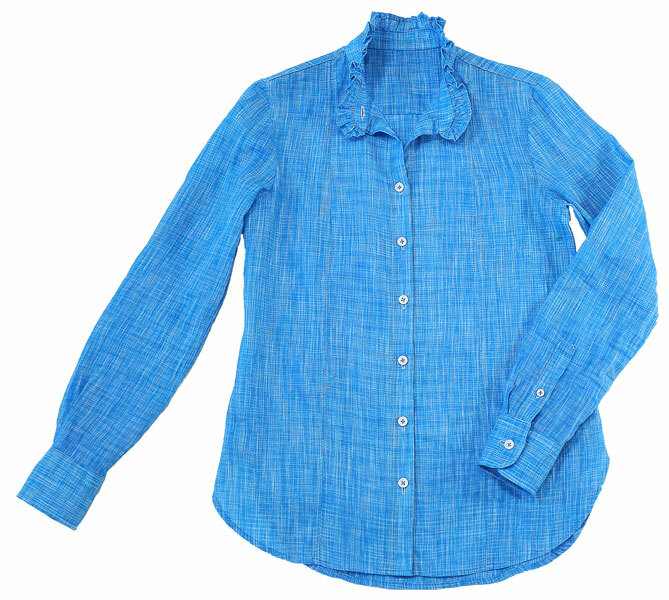 View A features a band collar with ruffle trim and a continuous (cut-on) placket. 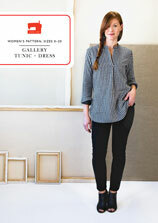 View B includes a pleated tuxedo-style front with separate (set-in) front placket and tuxedo collar. 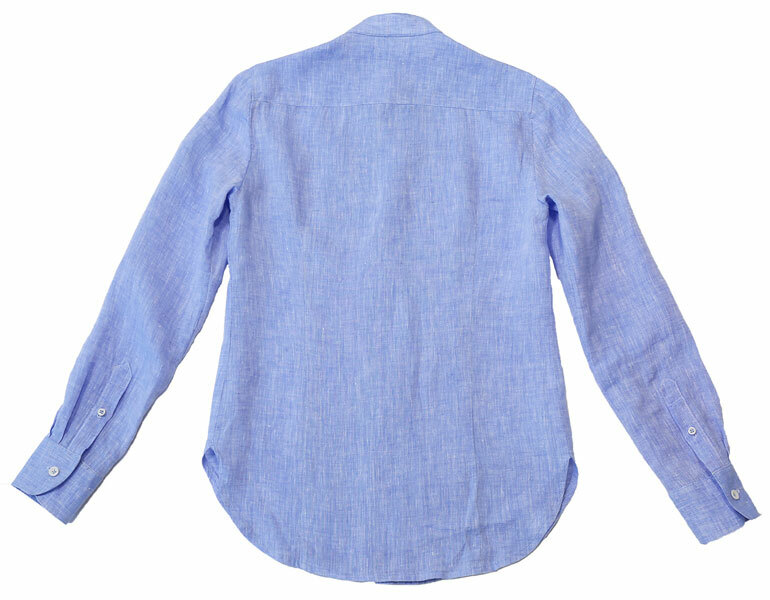 Share your photos on Instagram with the hashtags #recitalshirt and #lieslandco. This princess-seamed blouse includes lots of elegant details and options. In addition to the separate pattern pieces for A/B, C, and D cup sizes, it includes a tower sleeve placket, sleeve cuffs, and a semi-fitted back with darts. 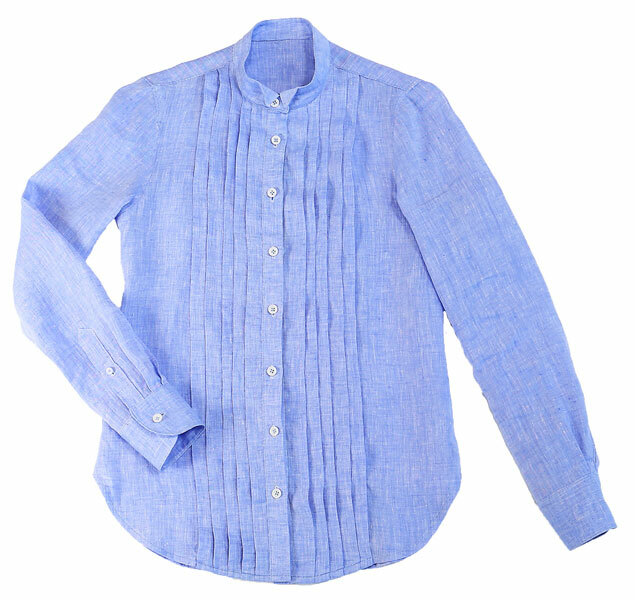 View A features a band collar with ruffle trim and a continuous (cut-on) placket. 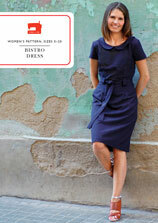 View B includes a pleated tuxedo-style front with separate (set-in) front placket and tuxedo collar. 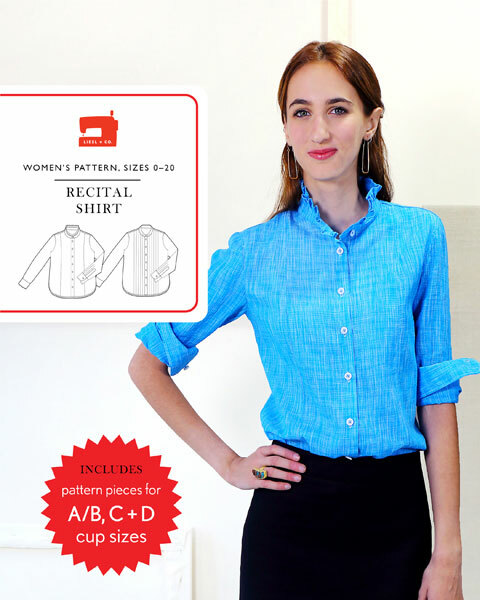 The elements of this pattern can also be mixed and matched with the Liesl + Co. Classic Shirt pattern to expand your options. 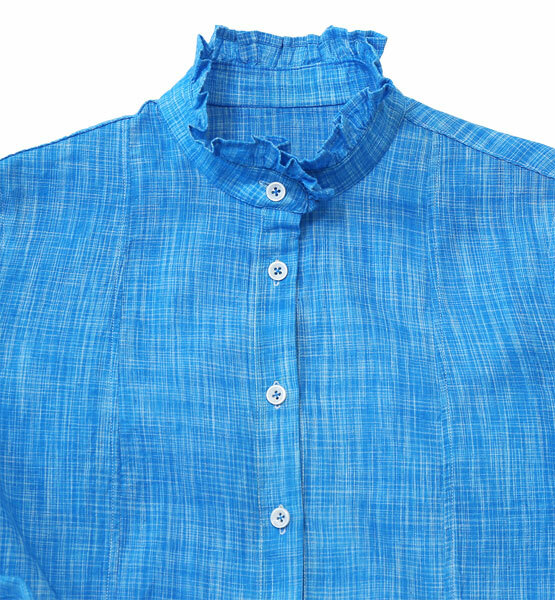 Suitable for a variety of light- to medium-weight woven fabrics including quilting cotton, voile, lawn, shirting, poplin, broadcloth, chambray, and linen. Coordinating thread, featherweight interfacing (fusible or sew-in), 7/16" buttons (13 for C cup sizes 18–20 and D cup sizes 16–20, 12 for all other sizes). Bust, A/B Cup* 36" 37" 38" 39" 40" 41"
Bust, C Cup* 37" 38" 39" 40" 41" 42"
Bust, D Cup* 38" 39" 40" 41" 42" 43"
Hip, A/B Cup 37" 38" 39" 40" 41" 42"
Hip, C Cup 38" 39" 40" 41" 42" 43"
Hip, D Cup 39" 40" 41" 42" 43" 44"
Back Length** 27 3/4" 28" 28 1/4" 28 1/2" 28 3/4" 29"
Sleeve Length*** 31" 31 1/4" 31 1/2" 31 3/4" 32" 32 1/4"
Bust, A/B Cup* 42 1/2" 44" 46" 48" 50"
Bust, C Cup* 43 1/2" 45" 47" 49" 51"
Bust, D Cup* 44 1/2" 46" 48" 50" 52"
Hip, A/B Cup 43 1/2" 45" 47" 49" 51"
Hip, C Cup 44 1/2" 46" 48" 50" 52"
Hip, D Cup 45 1/2" 47" 49" 51" 53"
Back Length** 29 1/4" 29 1/2" 29 3/4" 30" 30 1/4"
Sleeve Length*** 32 1/2" 33" 33 1/4" 33 3/4" 34"
*** Measured from center back at neck. I have made quite a few shirts but I liked the idea of the princess seams for added interest and shaping. I also loved the ruffle at the collar. I might make the pin tucked version another time. I made the size according to my measurements and it fits perfectly although I might shorten the overall length. Followed the instructions and used a mixture of french seams and my overlocker to finish seams but used the ‘burrito ‘ method for the yoke which I find gives a neat finish. All in all delighted. I've made button-up shirts before, but Liesl's instructions are by far the BEST I have ever read. Very clear, concise and well-illustrated. A beautiful shirt that I am proud to wear. Can't wait to make more. I had previously bought the classic shirt pdf, and was very happy with the clear, detailed instructions and the really nice details in the construction. I've now added the recital shirt to my collection, and made it up in a view B. The pleats were easier than I expected and the shirt is so polished. I want to use view A next. As a relatively new sewist I really appreciate the detailed instructions! This pattern is fantastic! The shirt looks really professional, it has all the little details that a shirt should have. The instructions are crystal clear. I went on the website for tutorials and parts of the sewalong. It was really helpfull. Even if this is a 3 cisors pattern, you don’t feel it’s so difficult since every step is explained in detail. 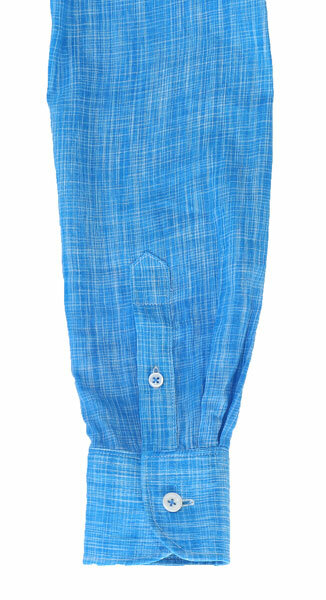 The fit is perfect and there is enough room to feel comfortable. It’s really important to sew a quick muslin to check the size and the length. I was so pleased to see this pattern released as it has every little detail that I've been craving for in a shirt pattern. I sewed version A in a size 2 and its perfect. 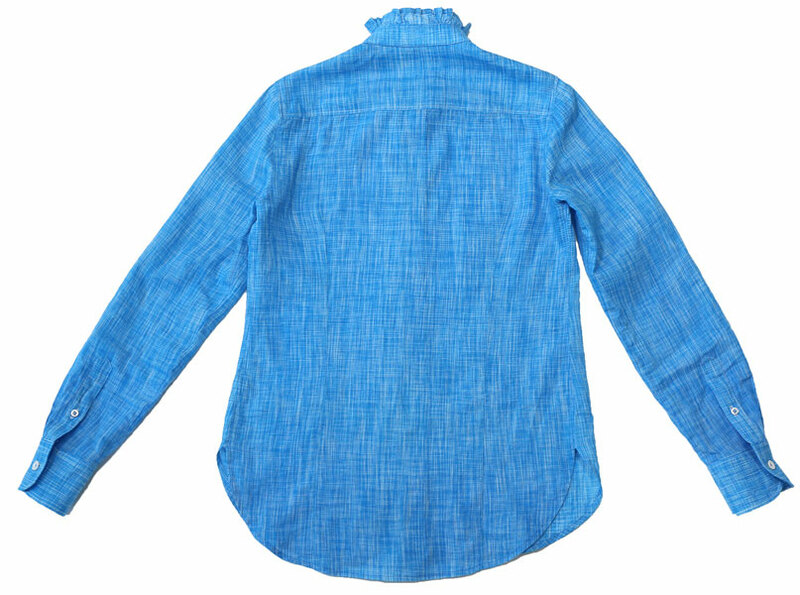 All of the details and instructions make this a pattern that stands out from all other shirt patterns and is certainly going to be used many times by me. Thank you for all of the hard work that's gone into the production of this pattern and your other shirt pattern releases - I love it! Discussion on the recital shirt sewing pattern from the Oliver + S Discussion Forums. Find and share more photos on Instagram using the hashtags #recitalshirt and #lieslandco.